The cloud agreement with the Office of the Director of National Intelligence gives Microsoft more power to make its case to the Pentagon as it bids for the agency’s huge winner-take-all cloud-computing contract. Microsoft said it has secured a lucrative cloud deal with the intelligence community that marks a rapid expansion by the software giant into a market led by Amazon. The deal, which the company said Wednesday is worth hundreds of millions of dollars, allows 17 intelligence agencies and offices to use Microsoft’s Azure Government, a cloud service tailored for federal and local governments, in addition to other products Microsoft already offers, such as its Windows 10 operating system and word-processing programs. The cloud agreement gives Microsoft more power to make its case to the Pentagon as it goes up against competitors like IBM, Oracle and Amazon for the agency’s winner-take-all cloud-computing contract. Amazon Web Services, the leading cloud provider, is widely perceived to be the front-runner for the job, which is expected to amount to billions of dollars over what could be a 10-year contract. Microsoft’s new deal renews and expands a previous agreement between the Office of the Director of National Intelligence and Dell, which licenses Microsoft’s products to the federal government. The Office of the Director of National Intelligence manages the efforts of the CIA, the National Security Agency (NSA) and parts of other agencies, including the Defense Department. Under the deal, each agency can choose whether and when to adopt Microsoft’s cloud, Barnes said. As part of a separate deal, the Defense Department has said it intends to move the department’s technology needs — 3.4 million users and 4 million devices — to the cloud to give it a tactical edge on the battlefield and strengthen its use of emerging technologies. 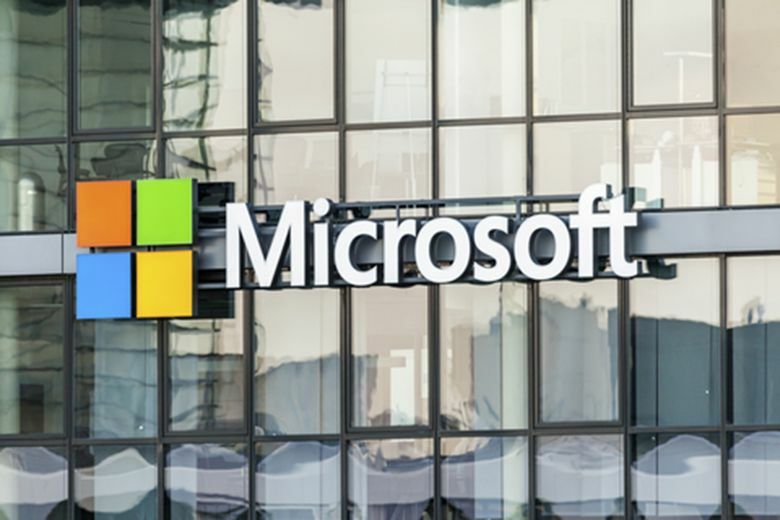 Tech companies jockeying for the contract, including Microsoft, have urged the agency to pick more than one vendor for the project, arguing that awarding only one contract will stifle innovation and increase security risks. Microsoft’s entry into the intelligence community follows Amazon’s 2013 contract with the CIA. That $600 million deal has elicited praise from Defense Secretary James Mattis. While Microsoft trails Amazon in the cloud market, company executives say it offers customers unique advantages, including artificial-intelligence capabilities, voice-recognition and translation products and the ability to support hybrid-technology environments that mix legacy on-premise computing systems with cloud systems. Microsoft is not new to government business. It is the primary vendor on $1.3 billion of unclassified contracts signed in the past five fiscal years, according to Bloomberg Government data. The Defense Department accounted for nearly $1 billion of the contracts. In addition to its computers, operating systems and marquee word-processing software, the company’s government cloud services have also won security certification to host sensitive data in the Justice Department, Veterans Affairs Department and U.S. Immigration and Customs Enforcement. Every federal Cabinet-level agency has access to Azure, including the Defense Department, Microsoft said.